My first collection of textiles for the home, Drift was released in the Winter of 2018. 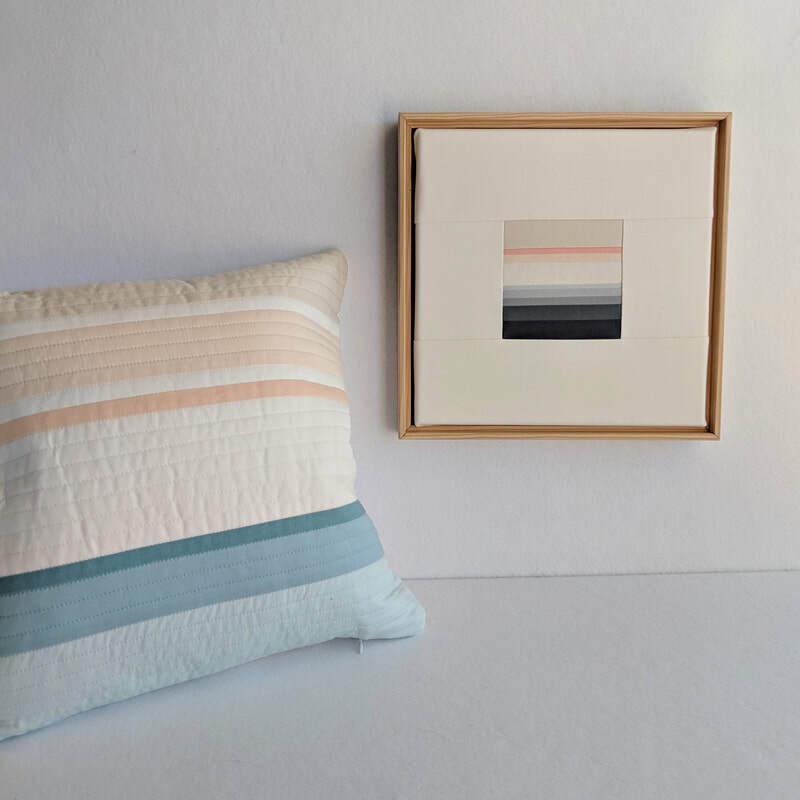 Drift's initial launch featured square pillows in two sizes and framed mini quilts to hang on the wall. All products in the collection were designed and made by me in my home studio. Thank you to all who helped make the launch of Drift a huge success! the studio to be boxed up and shipped overseas to our new home in Amsterdam, Netherlands! The shop has closed its virtual doors until the studio is up and running again. Until then, please contact me with commission inquiries, and follow my European adventures on Instagram. ​Modern quilts for the curated home. ​Every colored stripe of fabric is stitched with matching thread in meticulous straight line quilting. Pillow inserts are a feather/down blend, slightly overstuffed so they stay plump. No two pieces are alike: they are individually crafted with care in coordinating colors for unlimited mixing and matching. ​Finding a quiet moment to reset. ​Contact me about creating an original heirloom piece for your home or for someone you love. For behind-the-scenes studio news, follow me on Instagram @lucindawalkerart and sign up for my mailing list.